Gemma was born on the farm in July 2016, her mum is Floss. Gemma is her mum’s little Gem! She is a very inquisitive little girl, who always likes to explore everything, sometimes getting herself into bother! She has a very cheeky nature, and you can’t help but giggle when watching her little antics. 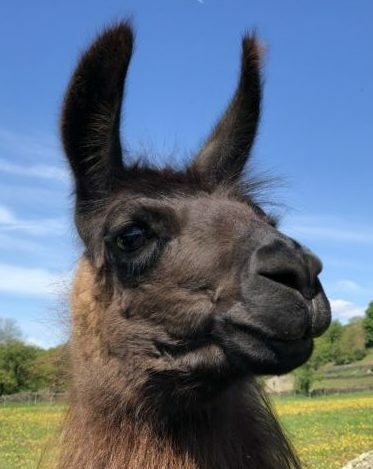 Gemma is not a trekking llama as she still has a lot of things to learn about being a llama yet, so she is in the fields, growing up and learning all things llama! When purchasing an adoption for a child, please check the age limits of our experience and treks as we do have restrictions and children with adopted llamas can only engage in the experiences or treks suitable for their age. Please also note, no babies or children under 7yrs old are permitted on our farm.